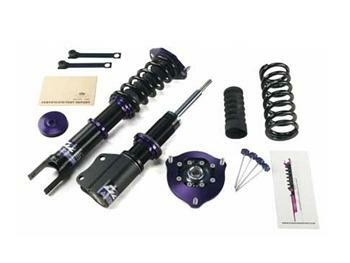 D2 Coilovers - CIRCUIT Series - Dezod Motorsports Inc - Home of the automotive performance enthusiast since 2002. 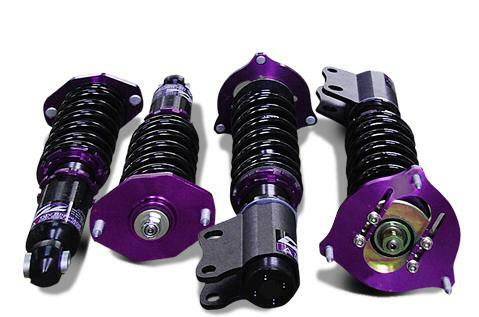 D2 CIRCUIT Series coilovers are designed for the circuit track enthusiast determined to go fast. Increased spring rates with more aggressively valved dampers and a larger, heavy-duty piston construction result in a suspension system that out-performs its competition. Large 52mm shock bodies increase oil capacity and the aluminum construction decreases weight to help this coilover perform at the limit.